While news pundits here busy themselves with more frivolous stories on government personalities and appointees, a very real issue emerged as yesterdayIsraeli PM Netanyahu blasted UK Labour leader Corbyn. In this country, and for the Jewish people, comparing any of us to Nazis is just beyond the pale. I am proud that our leader did not hesitate to rebuke another, making it clear that we will not stand for a rewriting of history that includes fake news and sensational headlines that exaggerate and distort history, concealing what is real terrorism today. “There is a time for everything…. ” and this is the time to look beyond the windows of our offices and recognize the beauty around us (Ecclesiastes 3). 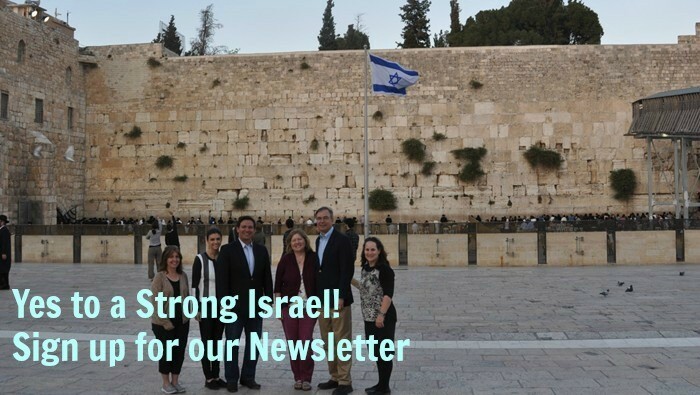 As summer reaches its apex, with Congress out and the Knesset summer recess in full swing, we have time to pay attention to our college interns, mentoring them and enriching their time in Israel. We trust they will return to their college campuses well-armed and invigorated – able to defend Israel and promote honesty and knowledge to replace hate and anti-Israel sentiment in their midst. “… A time to plant and a time to uproot” could be the motto of the Israeli government lately. We’ve adopted a policy of restraint against Gazan terror, coming at us in the form of kites, missiles, homemade bombs and fire-lit bottles. While these murderous, mostly homemade weapons are deadly, and aimed at innocent Jewish residents of the south, Israel has held back. This policy is being reexamined constantly, as again and again, agreements are broken. The latest ceasefire brokered by Sissi is one of many, but it indicates a recognition of the major role that Egypt plays in the region. It also highlights the very real, quiet relations between Israel and the Arab leader, ties that are used discretely and should be maintained. While no one puts much trust in a ceasefire with Hamas terrorists bent on pushing Israel to the brink of all-out war, we pray that the quiet remains and our boys stay beyond the boundaries of Gaza. We won’t put up with much more, but we act with caution and warn of our clear military advantage, in the hopes of appealing to a greater, more sane reality. Not betting on that horse for long, sadly. Israeli farmers have truly planted and their fields are being ravaged by deadly fires from Gaza, and while we’d rather use this time to see our land flourish – if pushed, Israel knows how to uproot in order to plant yet again. Here’s a reminder of the regional responsibility for Gaza, that seems to be forgotten. Angry reactions to leftist and Arab demonstration in which PLO flags were raised in the heart of Tel Aviv.